With seemingly untouched medieval cities, great beer, picturesque countryside, and thousands of castles, you’d be forgiven for thinking you’d wandered into a fantasy novel. While the Czech Republic is no fantasy, it is a place where the classical meets the modern and the best of both worlds are on display. We’ll discover where to go in the Czech Republic, how to get around, when to go, and how much it’s likely to cost you. Getting around the Czech Republic is easy and convenient, thanks to an extremely comprehensive rail network. Fast trains will take you from city to city, while slightly slower trains can get you to smaller towns. Buses are also available, but are really only a better option for short distances (like from the train station to your final destination). Anytime is a good time to visit the Czech Republic. Spring might be your best bet as the weather is warm but the crowds aren’t as overwhelming. Fall is also good for pretty much the same reason. Of course, summer is a fine time to visit as long as you can live with the crowds in Bohemia. Even winter affords some picturesque sights including impressive snow-covered squares and castles. The first stop on any Czech getaway should without a doubt be Prague. Not only is it the centre of life in the country, it stands strong as one of Europe’s most vibrant and welcoming cities. Seamlessly blending untouched medieval architecture with revelry and excitement, Prague is everything you’d want from a European capital. Concert halls, amazing beer, nightclubs, and cafés – all can be found here amongst the imposing spires and classical cityscape. Expect quite a few tourists when you visit, but when you’re wandering amongst the medieval squares and churches late at night, you won’t care in the slightest. If you’re in the mood for a more down to earth, gritty atmosphere, a visit to the city of Plzeň could be on the cards. While most famous as the home of Pilsner beer, there’s more here than just this unique pale lager to pique your interest. The city may not have the same beauty of Prague, but you’ll still find a respectable old town at its centre – a staple of most Czech cities. Throw in a large student population and a wide array of pubs, and you have a lively, unpretentious city without large crowds of tourists stepping over your toes. 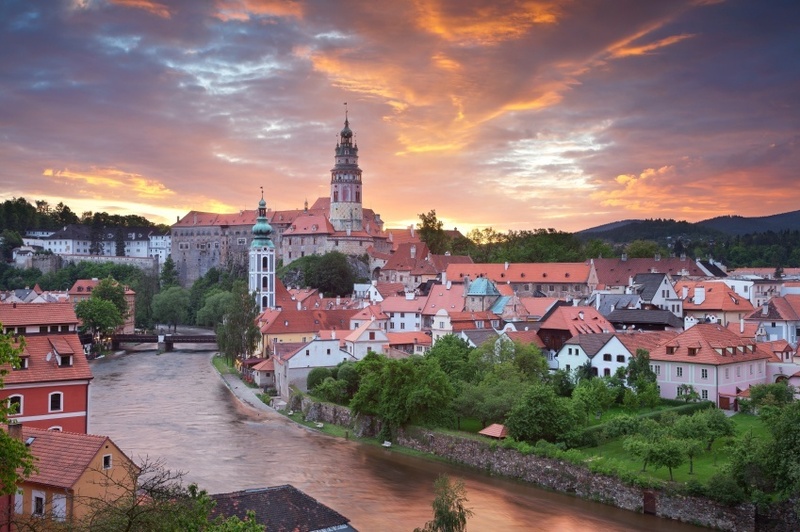 If you still want more of the fairy-tale ascetic of Prague in a smaller setting, the small city of Český Krumlov fits the bill exactly. Along the banks of the Vltava River, this enchanting locale will surely send you back to another time. 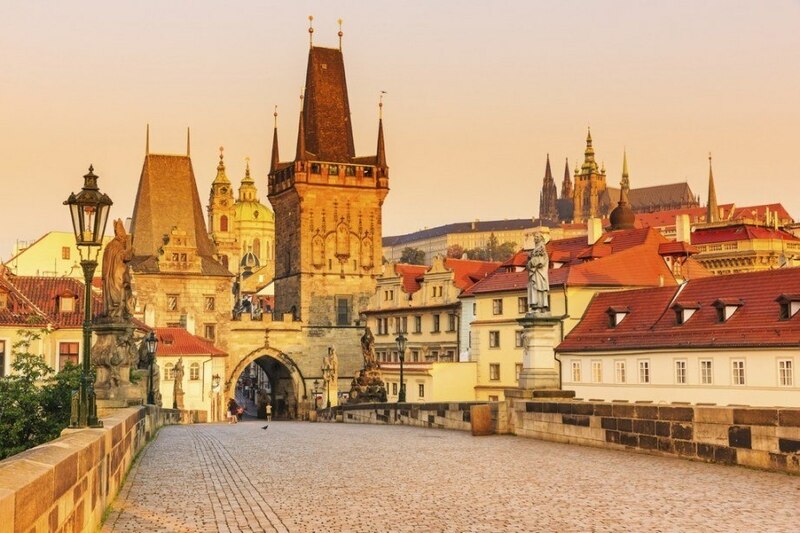 The castle, churches, classical architecture, street performers, and winding cobbled streets are among the most atmospheric in the Czech Republic. While visitors can overwhelm the city during the summer months, visiting during the rest of the year is just as rewarding, and perhaps slightly more peaceful. Another city that serves as a pilgrimage of sorts for beer lovers, České Budějovice is famous for its namesake – Budvar lager. With brewing having been ingrained in the local psyche since the 13th century, it won’t surprise you to learn that it remains a huge part of life in the city. Beyond the local produce, expect to find a massive central square and a maze of winding roads stretching outwards. There might not be much to see in the outskirts, but for admirers of the craft of brewing České Budějovice is a must. The Czech land of Bohemia (in which all of the above destinations are found) isn’t just about medieval cities and beer (not that we would mind if it was). 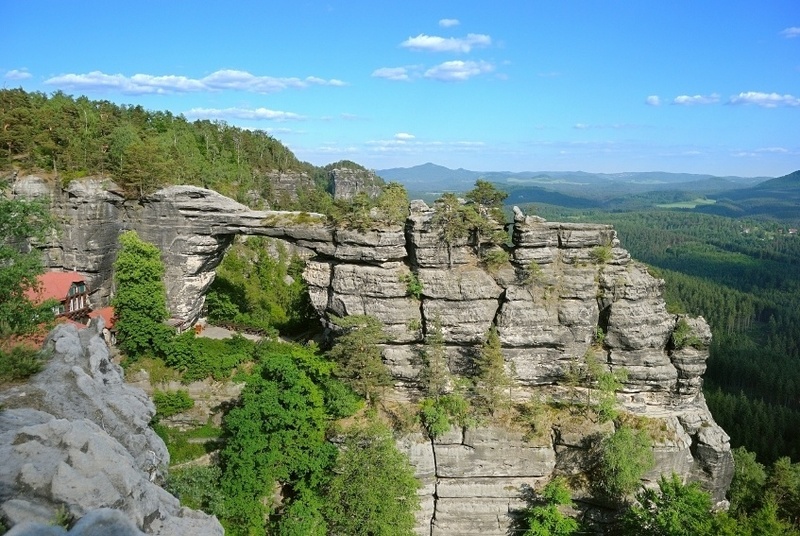 There are a wealth of beautiful natural regions to see as well, with the Bohemian Switzerland National Park the pick of the lot. Despite the name, we’re still in the Czech Republic (it was named for two Swiss artists). The park is found along the shores of the Labe River and consists of sandstone formations, vast forests, gorges, and much more. Some of the best hiking in the country can be found here if you’re up for it. Now that we’ve gotten our fill of Bohemia, we can move on to one of the other well known Czech lands – Moravia. The capital of this eastern land is Brno, a fairly large city chocked full of classical architecture (including a great hilltop castle), museums, and of course a main square in the centre of it all. Despite this, there are other cities in Moravia that do the whole ‘medieval city’ thing better but Brno remains the centre of life in this unique region. 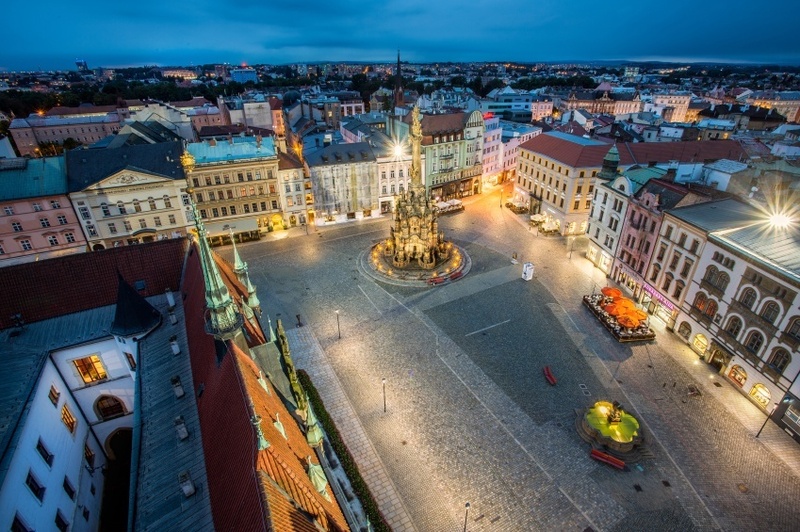 If you want to get the full experience of stepping back into a seemingly time-lost city without the crowds of Bohemia’s best, Olomouc is the place to go. All the usual trappings are there from the main square to the church spires – just without the high concentration of tourists. Adding to the authentic, lively atmosphere is a large student population which keeps things exciting throughout nearly all hours of the night. Wine regions across the world often afford a chance to relax in a serene environment while sampling good food and even better drink. Moravian Wine Country is no different. While Bohemia might be famous for beer, Moravia has chosen the path of fermented grapes and perfected the art of winemaking. Beautiful vineyards cover the hills while charming towns welcome travelers eager to sample their craft. The weather is warm in this idyllic region, and you’ll find it a perfect counterpoint to the unfettered excitement of Prague. A round-trip flight between Pearson and Prague isn’t too expensive compared to other transatlantic options and can usually be found around the $800 Canadian mark. Since the majority of flights are connecting, you have a wealth of options to choose from – so shop around and make sure you take advantage of any deals. It’s important to remember that the Czech Republic uses the koruna, not the euro (despite being a member of the EU). With that in mind, you’ll also find that prices are generally slightly lower than in other Central European countries. Expect an average day to cost you about $98 with a budget of $55 for accommodation and $27 for food. A thriftier traveler could even get by with just $39 per day while the higher end lifestyle will run you about $241 per day. There will always be deviation, so only use these numbers as a guide. The Czech Republic is a relatively safe country, with the Government of Canada recommending normal security precautions throughout. As always, petty crime is a danger in busy or transit areas, especially when it comes to Prague. Public transports such as subways are specifically targeted. While transportation infrastructure is good, beware of poorly marked and maintained rural roads in some areas if driving. 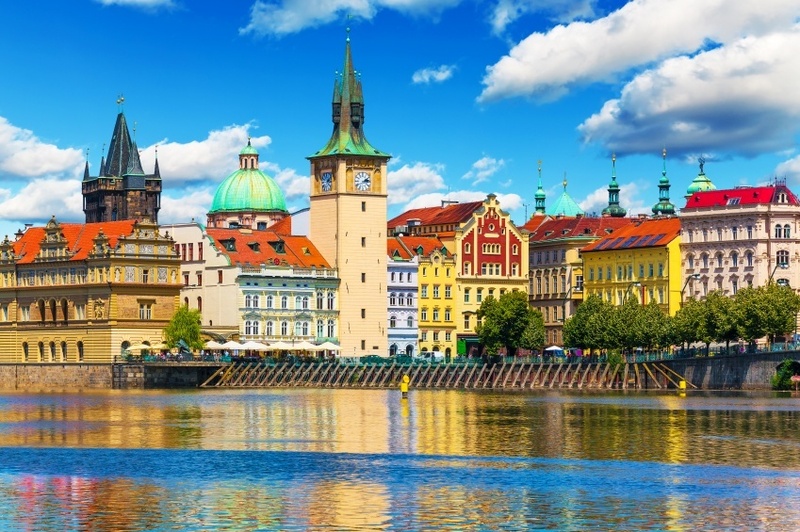 Overall though, a trip to the Czech Republic should be just as safe as any other major European country – and will be memorable for all the right reasons. These are just a few examples of where to go in the Czech Republic, there’s tons more to see and do. If you think somewhere else should be on the list, let us know in the comments. Check out our Country of the Week for more general information about Czech history and culture.